I believe London can be the world’s greenest city: a diverse, healthy, fair and prosperous place that shares its success with every citizen. All of that is possible – but it needs political will, and a team with Green vision and Green values in City Hall. I’m asking for your support to be the Green Party’s candidate for London Mayor because I believe I’m the person to lead that team. I’m a transport campaigner and the Green Party’s National Spokesperson on Local Transport. Beyond politics, I’ve been an artist, I’m a trained civil engineer and I’ve brought up three children. Since May 2014, I’ve been the sole opposition on Islington Council. With Islington Greens, I have just run our most effective General Election campaign ever. 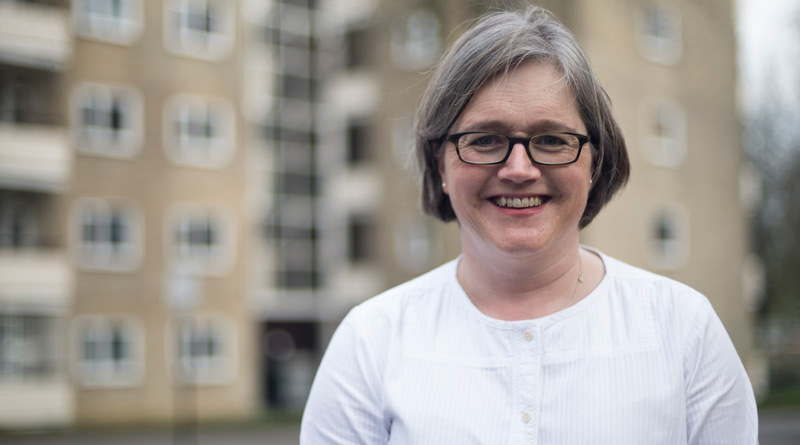 As candidate in Islington North I was proud that we trebled our share of the vote and got Greens out campaigning across every ward in the constituency. I know how to network and build trust with community groups and NGOs. As a former Training Officer for London Green Party I’ve worked with local parties across London, and as sole opposition to 47 Labour councillors I know how to hold my corner in a debate. I’m used to speaking in public, getting our message out to the press and doing interviews for radio and television. If selected, I would work with London Greens to set out a vision of a London where shared economic prosperity goes hand in hand with a Green revolution that radically improves the homes we live in, the streets we use and the air we breathe. The Mayor of London has the power to influence all these things. We need radical, brave action to defend equality and build sustainability and I can deliver this as your Green Mayoral candidate. The 2016 Election is an opportunity for London Greens to set a new direction for our city; community must be valued over the pursuit of economic growth, as the million Green voters in the General Election well understand. That’s why I’m asking you to vote for me to become the Green Party’s Mayoral candidate for 2016, to work with London Greens and the communities we live in on an election campaign to transform our city.